It being the start of a new year, there have been a very few minor changes here. Specifically, the tabs at the top – “Egotists Create,” “Muse-ings,” and “Reviews” – have been updated, and a few items shifted around. The process of so doing, of course, prompted the question “Is this useful?” On one hand, if there aren’t that many new posts, well, then perhaps organizing or re-organizing the older content is moot. But then, if there aren’t additional new musings, it might be more important than ever to render old posts easier to find. “Creative Writing” also seemed a somewhat problematic subcategory, as any somewhat-intentional stringing together of words could qualify for it. So that list has now been trimmed to certain stories and monologues, while original poetry – be it high-brow and allusion-rich, pattering doggerel, sonnets, parodies, or song – has been filtered out into its own section. Muse-ings, meanwhile, remains a bit more elusive; it’s partly broken down into the quasi-academic, the humorous, that concerning the sexes, discussions and analysis of poetry, language usage, translations, and the seasonal, but there remains a goodly chunk of Uncategorized Whimsy. Do you have any thoughts on this? Do you just utilize tags or categories? By all means, let us know what would make for easier reading or searching; we’ve love any feedback. Dear readers, today is a day – though, in fairness, so are all days – to summon up all the grandiloquence I can muster. To wit: the world, and WordPress, tends to judge on the basis of readership, on likes, on pages viewed and comments made. This is well and good: whatever else the world can get wrong, it does well enough with quantitative data. But none of that data could exist without posts to support it. An empty blog drives no engagement, no discussion, contains no ideas whatsoever. 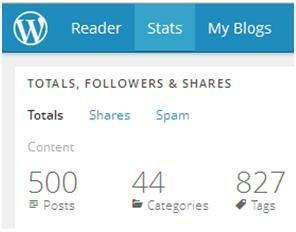 And so today we celebrate, for this club of ours now has 500 posts to its name! Okay, so, 501 once this is published, but still. Not only so, but the annual report shows thousands of views from 119 countries all over the world. 140 since they started the stats-mapping business. 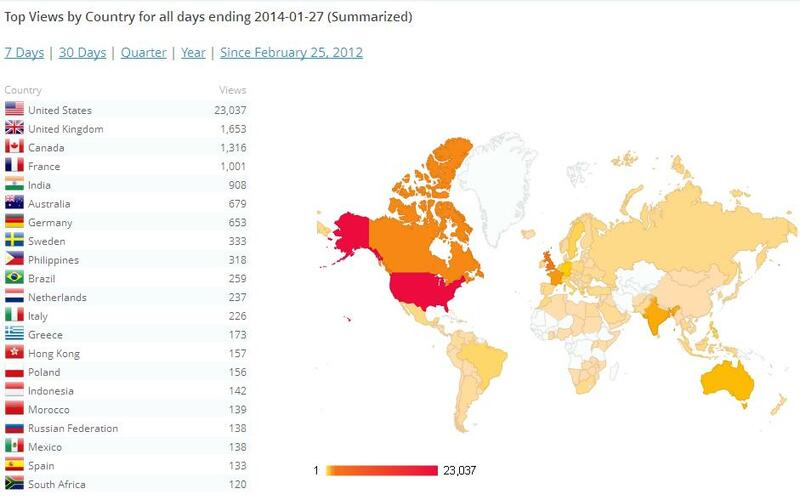 I have spent a year wondering how to lure readers from Greenland and Kazakhstan. All of which is a delight to see. Therefore do we sip at our whiskey and reread our manifesto, before turning our eyes to other stories and poems awaiting us. Thank you all for joining us in the club. The firewhiskey of words served neat, the chamomile of comforting stories, the vanilla waft of lignin from older books, the smoke of snark and the warmth of conversation: all would lose their savor without you. We hope to share them all with you for hundreds posts more! And I said to the man who stood at the gate of the year: “Give me a light that I may tread safely into the unknown.” And he replied: “Go out into the darkness and put your hand into the Hand of God. That shall be to you better than light and safer than a known way.” So I went forth, and finding the Hand of God, trod gladly into the night. And He led me towards the hills and the breaking of day in the lone East. The popular reference is of course King George VI’s 1939 Christmas broadcast, but we saw fit to share with you the entirety of the 1908 poem. My dear friends. Gentle readers. My dear gentle readers. I wish to share with you a brightly evocative, yet dimly translucent piece of wordcraft. I would that your day, evening, afternoon be illuminated with the delicate ecstasy attending such treatment of mankind’s custom of lexical expression. It has been my pleasure, in the last years, to cultivate an interest in emerging poets. I have travelled far through Tibet, the Steppes of Central Asia, and New Zealand searching for these artists, these lyricists, these oracles and sibyls. But, as with many journeys, it was upon my return that I found the treasure I sought. Just outside my front door, as it were, in Indiana. This tiny gem of idyllic refinement encapsulates the ardent and inconsolable yearning for that shining certainty beyond death, the loneliness thereof, those thin piping notes that strike the air with shrill clarity. With Pan, this poem floats in illusory consciousness above the groves of the sea. In anatomy, the poem is, essentially and empirically, a historical Japanese form. It is a traditional haiku in rhythm and in its preference of a primeval burden of intent. In a scintillating moment of Delphic clarity, the poet also chooses to marry this Japanese form with the Western poetic conception of syzygy. Syzygy’s significance extends far beyond its popular conception as “a good way to use a z and several y’s in Scrabble.” In fact, it is a long-standing poetic device. In definition, it simply means “a yoking” in Greek. It is used as a trade word for astronomy to mean “an alignment of three celestial objects, as the sun, the earth, and either the moon or a planet.” Also, to biologists, it means “the aggregation in a mass of certain protozoans [are we sure we don’t mean protozoa? ], especially when occurring before sexual reproduction.” To be crude about it, you could say that when you get married, you are now in the bonds of syzygy! In poetry, however, it simply means a yoking of sounds, concepts, or images. This yoking, as employed within the traditional Eastern framework, echoes Western poetic conventions. Rather than wrench his words into a jingling tangle of chiming rhymes, the poet attends to the reader’s ear by alliterating the greater part of the first line. Not only so, but he has elected to use words bearing syntactical and semantic similarity to each other, though each remains distinct and widens the swath of his discourse. As the day is wild and wintry, and the mountain windswept, there is alliteration with a touch of dental consonants. In fact, as n, d, and t are each dental consonants, the combinations thereof constitute further syzygetical combinations. But even were one to leave the bonds of syzygy aside momentarily, the fact remains that the structure and weight of the individual words reveal in their shape and in themselves the poem’s essence. Such framework inherently reveals its own meaning. In cases like this, it becomes necessary to lay aside the quotidian, workaday meaning of words and allow the exigency of each eremitical word to wander through the layers of consciousness; a wild mountain man trekking through the deeps of the soul. Each word must be examined not alone, singly. These masterful words are not widowed, not bereft. They are slung together, chained. They are pulling the oars of the trireme of thought with but a single intent. Other pens may be distracted by such evocative language, and drawn into the trap of evaluating the narrator’s experience – or worse, attempting to evaluate the extent to which the poet and the narrator are one and the same. But this distinction tends to distract from the truth by paring down the significance until it applies to a single individual. A more appropriate reading takes into account the final line and its allusion to all of creation. Cunningly, at the last the author has compressed a wealth of imagery into a mere two words depicting an indeterminate number of figures. These recondite creatures, mountain-climbers oft seen on mountaintops by philosophers, are partners of sacrifice and prophecy. They are the heroes of the Aesopian play of Three, clambering carefully but confidently where they will no matter what trolls lurk beneath the Bridge of Consciousness in the abyss of the id’s darkness. They are the tragicomipastoral archetypes of brotherhood, their presence in the work eliciting a cathartic response to man’s place in the world: his experience of metaphysical reality via the corporeal plane; his aspiration to godhood often trampled in the mire of asininity; his undeniable bond to all of creation providing fodder for rumination and introspection. This simple pastoral nature is reflected, mirrored and cast back by the idyllic subject matter, drawn from the gentle lives of those nearest Earth. Reaching back, far beyond the bounds of Western Civilization, back to a time of hills and valleys untrammelled by the excoriating scour of mankind. In this mirror, casting its arcane and esoteric image forward to a jaded and disillusioned age, comes a hallowed glimpse of temples, holy smoke of sacrifice and divination at the shrine of an Apollonian seer. To sterile, sanitary, stainless steel modernity, this heather scented fantasia evokes ancient wisdom anew. Bearing that in mind, we invite you to inhale deeply this draught of verity. Steel yourselves, for it is dense with delight. Now THAT was an eventful week for the Egotist’s Club. Starting a meme, adding a muse and the marathon church sessions of the Triduum and Easter, I am exhausted. I went to work to relax! I just wanted to zip up the last week and prepare the ground for this week so that all my gentle readers can join me in anticipation of another great celebration of wonderful books. Last Tuesday, when I (Thalia), mentioned the roster of my book heroes I was requested to make that list public. I still think it had better be in partiality, so I solicited Melpomene’s top 5 loves and I’ll give you my top 5. I’ve included their authors and titles so that you have a hope of finding these men if you happen currently to be strangers. That should tide you over and give you lots to read! Lord Peter Wimsey: Dorothy L. Sayers Whose Body? There you are for that topic. It is time for a new delight! This week, we are considering books and music. Theme songs, iconic sounds, special effects? I don’t know! We’ll have to wait and see what our muses think of. Watch out! or perhaps I mean…. Thalia: Once upon a time, in a fair world long, long ago . . . we dreamt of writing a story together. Remember? Melpomene: Ah, yes. Or rather, we planned to take similar plot elements and characters, and each write our own story. Just to compare. Melpomene: We are still doing it. Sometime in the future. A tale filled with humanity, rainfall, mobsters, explosions, and toupees. Thalia: Toupees! You mean the secret . . .
Melpomene: SSHHHHH! Don’t give it away! Thalia: Right. Sorry. But we can make it pretty as well as clever? Melpomene: Yep! Make it poetci! 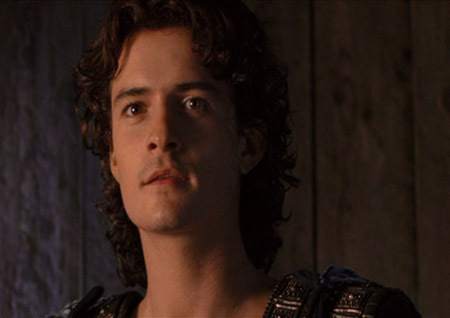 Melpomene: I mean, “poetic”. I mistyped. Sorry. Thalia: It can be “poetci” too. Melpomene: AhahahahaAAA! I have a BRILLIANT idea! Thalia: Ummm . . . “Poetci” looks like Polish? Melpomene: No. We need to start a po-etsy site! Thalia: Like Etsy? Only . . . for POETRY? Thalia: OH! Yes. Yes, we should! Melpomene: We would be given commissions for specific poems. That we then we would write! Thalia: Oh man . . . .
Melpomene: And THEN, (wait for it,) we would GET PAID! Thalia: And then we could get RICH! Melpomene: People NEED poems for all sorts of special occasion, right? Thalia: Like birthdays, or love confessions, or funerals! Melpomene: As long as we don’t write for students who are supposed to be perfecting the sonnet form for themselves, we should be alright. Thalia: I can actually see this working . . . Let’s practice! Melpomene: Okay. Say . . . a poem celebrating Uncle Greg’s 67th b-day. He loves everything aviation related, and likes Wendell Berry. Go! Thalia: Okay. I think I can do this. Uncle Greg, here’s to many another one! Melpomene: Aww! It needs some work, but a nice start. Thalia: I think that it would be rather fun to do this for folks. Especially since they would have to provide the topic. Melpomene: And, preferably, indicate the form and tone. Thalia: We have played Blitz Poems often enough to be good at this! Melpomene: It might not often aspire to be high poetry . . .
Thalia: But it would be pretty, thoughtful, and personal! Melpomene: Sweet, funny ones . . . .
Thalia: Or deep, angsty ones! Melpomene: For Your Heartfelt Confession, We Find Expression. Melpomene: How has this idea not been done already? Thalia: I DON’T KNOW! It’s BRILLIANT! Melpomene: According to my cursory internet search, our only competition is an antique seller on Etsy proper. Melpomene: And a Dutch website for. . . . soap? Melpomene: I can’t figure it out. Is that silver polish? Thalia: Uh, possibly. But either way, again, NOT POETRY! Melpomene: Now we just need a business plan. Thalia: How to market and drum up interest? Melpomene: That. I am thinking we start off at fifty cents a line? Melpomene: At least until we build a reputation. Thalia: And clientele.We need some sample clientele. Melpomene: And ideas and examples, and possibly a trial website . . .
Thalia: Alright. Let’s do it. Melpomene: Poetci.com, here we come! 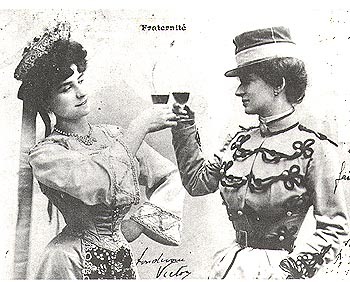 Thalia and Melpomene toast to a day of brilliance. University of St Andrews, Kingdom of Fife, Scotland. tall object standing against the piano bench. It is an orchestral harp. harp is a gift, a gift for this moment. The magic fairly radiates from it. string. It rings clear, like the voice of a bird of heaven. I play a key on the piano, but it clashes with the lingering harp tone. Moving steadily up and down, I work each note one by one. The harp is tuned to B minor. What a wonderful key. Tonight I played the harp. not, then I will still smile, for tonight, the harp… it came to me.